With any occasion throughout the year, whether it be Halloween, Christmas or Easter, there is always a good reason to have some fun and celebrate. At Easter time, Spring has sprung, the days are getting longer and the weather is brightening up and getting warmer. This is a great reason to get outside and take part in Easter activities. You will find that many country parks will hold Easter activities such as an Easter egg hunt and egg painting. At home there are things to make such as Easter cards and gifts, Easter cakes, Easter eggs and maybe prepare that special Easter roast dinner. 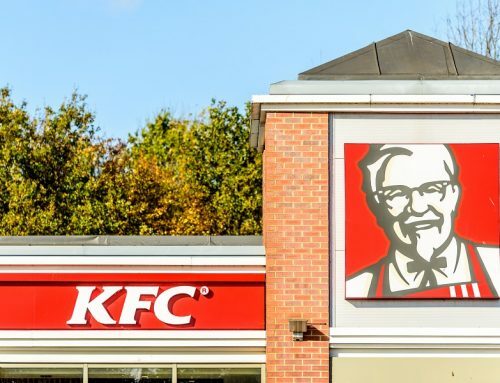 With Easter this weekend, we have had a look at some of the traditional food that we eat at Easter time and also look at some of the various Easter food that restaurants may have on their “specials” board this Easter. Going out to a restaurant is a good way to relax for this long Easter weekend and will save you having to cook at home. Hot Cross Buns are traditional to eat at Easter time, especially on Good Friday, which this year falls on the 18th April. Hot cross buns are sweet tasting buns that are filled with either raisons or currents and are finished with a cross on the top of them. A hot cross bun is usually cut in half, toasted, then served with butter on them. 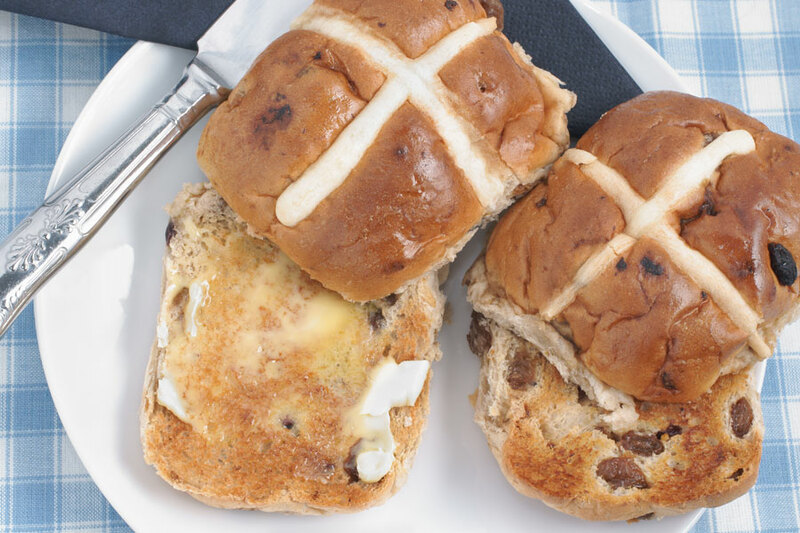 Many cafés will be serving hot cross buns over the weekend to celebrate Easter time. Over the year, on a Sunday, many families in Britain enjoy a nice Sunday dinner. 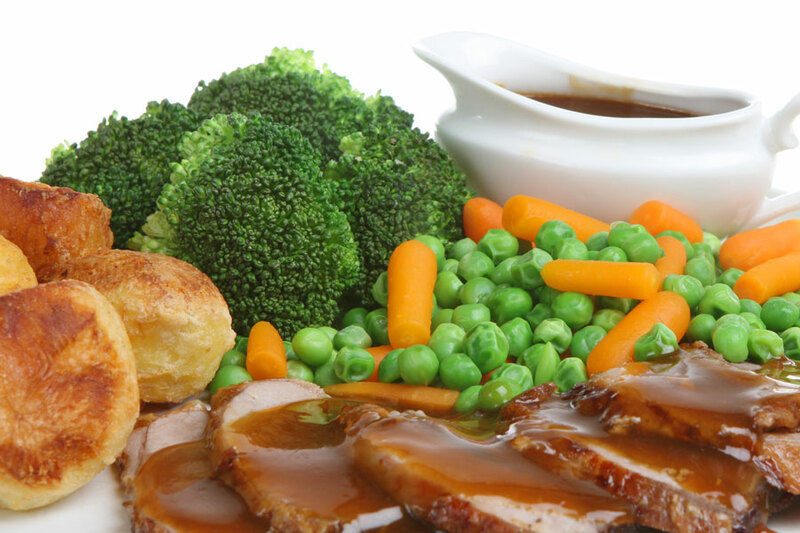 At different occasions throughout the year, we eat a roast dinner accompanied by the meat of the season. At Christmas time, it is traditional to eat a turkey and at Easter time it is traditional to eat lamb. If you decide to eat out instead of at home this year, then you will find that many restaurants will be serving a roast lamb dinner on Easter Sunday, as this is a very seasonal dish for this time of year. At Christmas time we give each other presents, at Easter time it is all about giving each other an Easter egg. It may be mainly aimed at children, however there is nothing wrong with adults getting involved. Easter is a great way to enjoy a lot of chocolate and to have some fun. Easter eggs come in various shapes and sizes. They range from being small such as a Cadbury’s Creme Egg, to a giant special Thornton’s Easter Egg. You can also buy them in the shapes of Easter chicks and bunny rabbits or how about one the shape of a penguin from M&S or a frog from Waitrose. 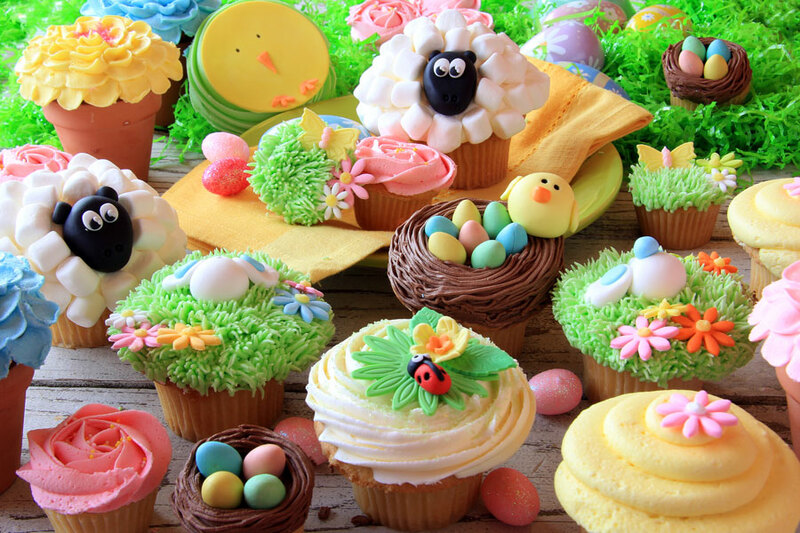 To have some fun at Easter, it is always nice to make some Easter Cupcakes. There is a big choice of the cakes that you can make for Easter, you can make sponge cakes with icing on and put small marshmallows on the top to look like fluffy sheep, or you can make chocolate cakes and use icing to make nests and place mini eggs on top of them. You can also do this with chocolate crispy cakes. Crispy cakes are always very popular at Easter time. You will see them for sale in lots of cafés as well as supermarkets. Crispy cakes are also very easy to make at home and a great activity for children to do. Crispy cakes can be made with either rice krispies or corn flakes, which are then mixed into melted cooking chocolate and then scooped into cupcake cases. You can then decorate them with mini chocolate eggs, such as Cadbury’s Mini Eggs, to make them look like bird nests. Lemon cakes are popular every year throughout Spring and Easter time. 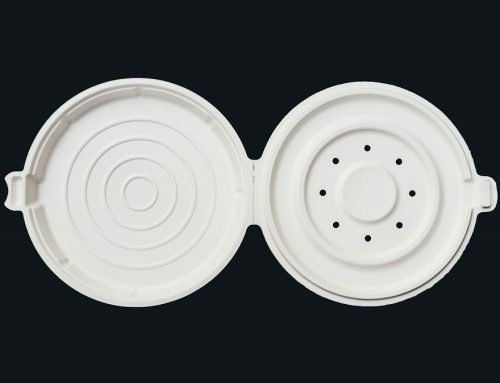 They can come in many different varieties from small fondant fancies, to a lemon meringue pie. 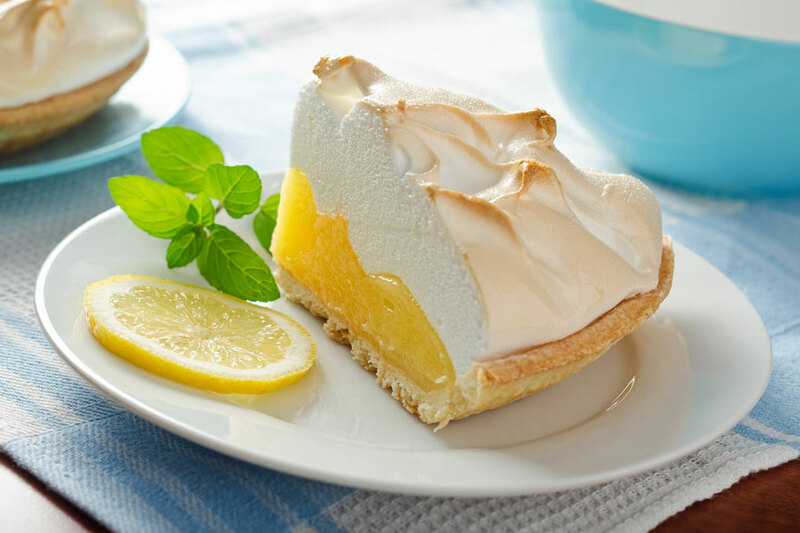 You will see lots of limited edition lemon cakes in your local supermarkets as well as in many cafés and even as a “special” dessert at various restaurants. Easter is a time to enjoy yourself and have some fun with the family. 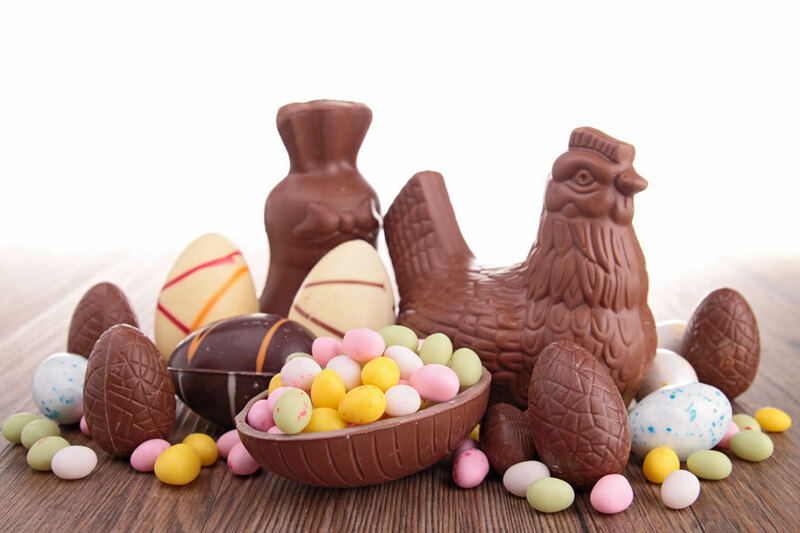 Whether you stay in or go out, Easter is a good time to eat all the delicious Easter food that is available to you. Crack open the Easter eggs and enjoy yourself.